Twitter user Michaella (@oohhhkayyy) shared what is possibly the most adorable story on Twitter on Friday. 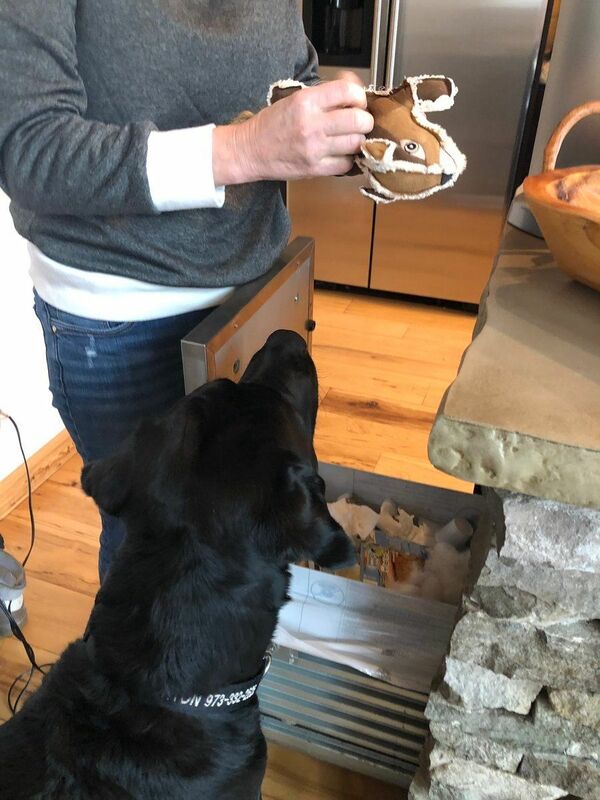 Her father found one of their dog Lucky's toys out in the rain and he proceeded to "save" it. Many dogs have a thing for stuffed animals and they're often their source of comfort. 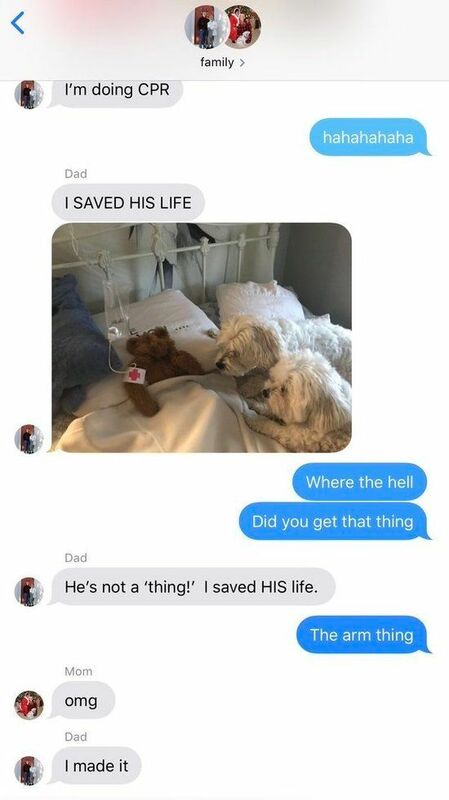 Not wanting Lucky to lose a favorite toy, dad did everything he could (including CPR, apparently) to save the unlucky bear. In a group chat with Michaella and her mom, he details the harrowing experience, complete with photographic evidence. After the rescue, the stuffy needed some time to recuperate. 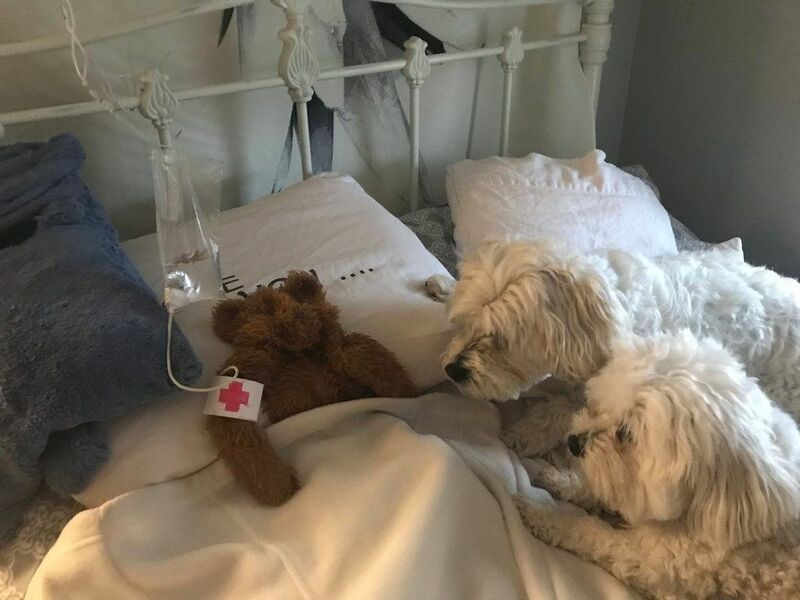 Visitors were evidently allowed, though, as dad shared a photo of their two dogs visiting him in the stuffed animal hospital. The unexpectedly wholesome story had Twitter abuzz with a strong case of the feels. People can't get enough of Michaella's dad. Although some related best to the "dead bear." It seems stuffed-animal rescue is a more common vocation than was originally believed. People suffered a severe case of the feels. 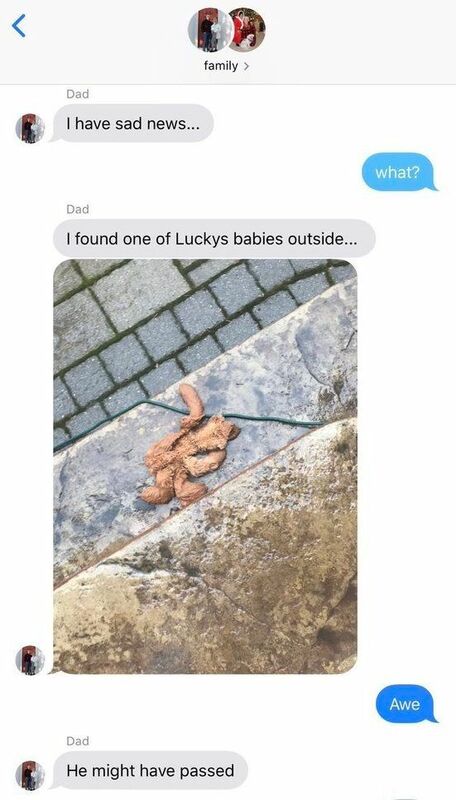 Michaella's dad is a hero in their dogs' eyes and in the eyes of Twitter users everywhere!